Yikes! The last day of June! So many things I wanted to share with you, and the month just flew by. If I want to share my favorite plant combinations of June while it is still June, I’d better get started. This is the same rose I mentioned in my review of hardy rose books. It’s a Griffith Buck rose called ‘Wanderin’ Wind.’ Last year it didn’t do much, but this year it is putting out a lot more blossoms. I really like it surrounded by ‘Six Hills Giant’ catmint, don’t you? The next combination was earlier in June. The meadow rue is called ‘Black Stockings’ and it’s one of the few things I’ve gotten from White Flower Farm lately. I haven’t seen it offered anywhere else, not that I get around that much. It looks wonderful fronted by ‘Concord Grape’ spiderwort, which is a bit more common. 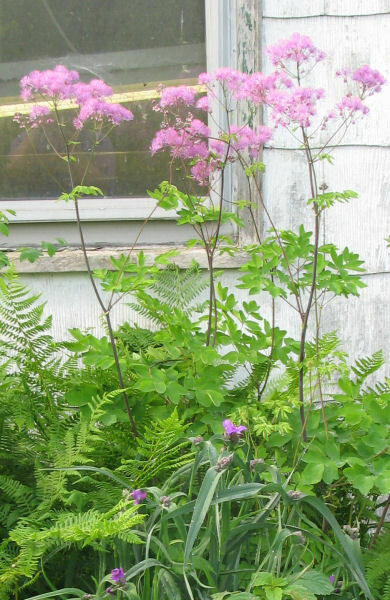 The color of the two flowers is pretty much identical, and the dusky stalks of the thalictrum echo the color of the Tradescantia foliage. This year, at least, the spiderwort was just getting going with its flower power when the meadow rue was at its peak, and now that the spiderwort is going gangbusters the meadow rue is just about over. 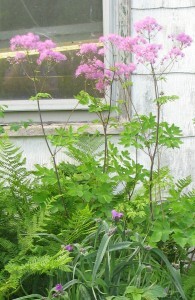 I tell myself the meadow rue will have many more flower stalks next year and there will be even more overlap. ‘Endless Summer’ Hydrangea: Does it live up to the hype? Old Roses, lavender likes perfect drainage, which I don’t have around here. 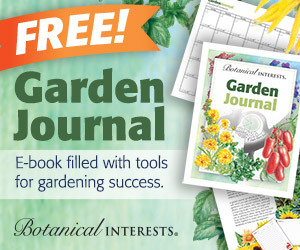 Catmint has a wonderful fragrance of its own, so don’t hesitate to try it. Bees and a small orange butterfly also love it. Annie, I know Purple Heart as a houseplant and could probably put it in a container as an annual and plop it in front of Black Stockings. But meadow rues will be done blooming soon and usually don’t rebloom. Summer is here, yes, after a fashion . . . it was 38.2F on Monday morning (July 2nd). And on July 4th, the morning started a mild 53.1F but the high was only 65.3F. Some people would feel cheated, but I prefer that kind of summer to the hot-and-humid variety. And it rained on the 4th, which we needed badly. Those Wanderin Wind roses are beautiful… they make me think of a fairy tale of sorts. I am going to start my very own garden, so no roses for me yet, but these are going on my ever growing wish list- thanks for displaying them so nicely! Very nice combinations! I do think catmint sets off roses very nicely and so much easier to grow than my “dreamed-of” lavender which never really took off for me. You’ve reminded me that I have some happy combinations I like very much and had better hurry and get a picture of before the heat wilts everything. The roses are so perfect and substantial looking – the catmint sets them off just right. Purple Heart’ would be one dramatic combination. I’m so glad you finally have summer, Kathy! The rose and catmint are so subtle and soothing together. I really do like that combination. Thinking of you guys – I will get in touch with a bona fide correspondence! 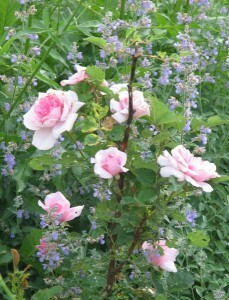 I do like the pink and blue combination of the rose and catmint. I can’t believe June is past, either. I saw back-to-school supplies in the store yesterday, though “oddly enough”, no kids were looking at them!